One things about our little blog is that we keep it real. 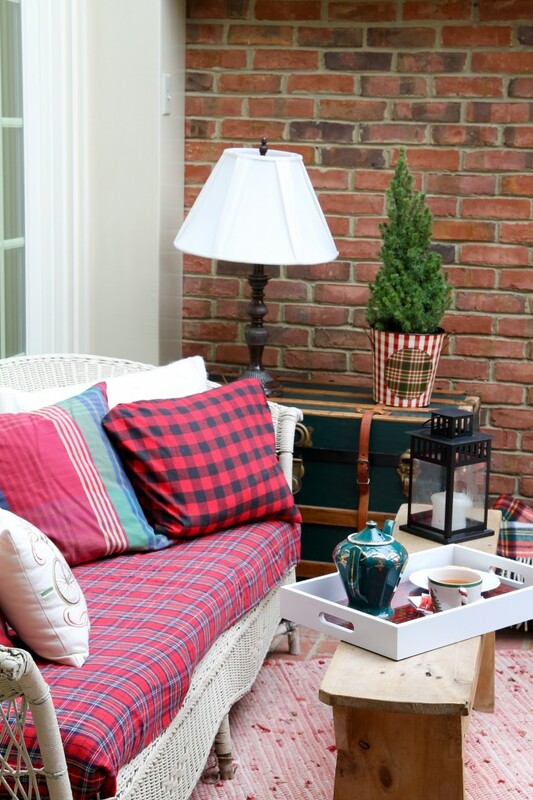 We love to do projects, but they are simple little fixes that everyone can do. Today is a perfect example. 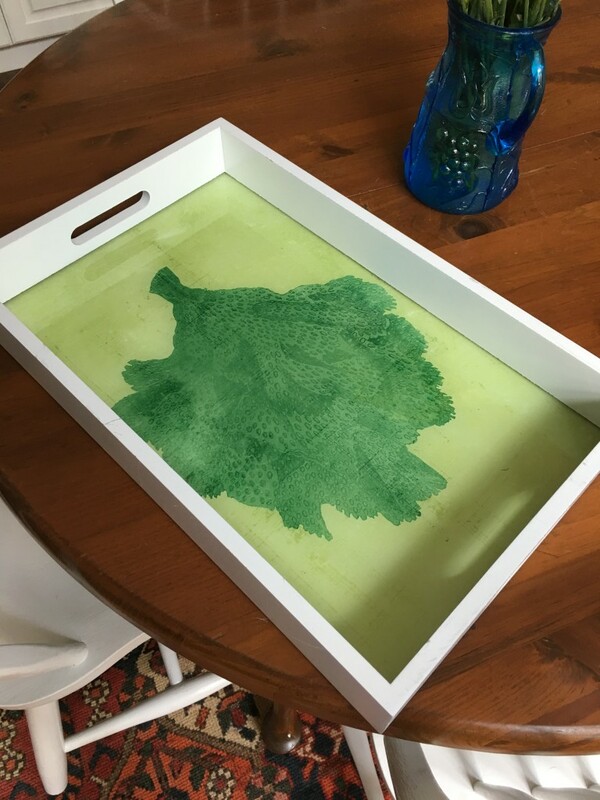 If you have been with us a while, then you already know that I bought a great little tray at HomeGoods on sale for $10.00 this past summer. I had a piece of glass cut for the top and decided it would be my go-to tray for all seasons. 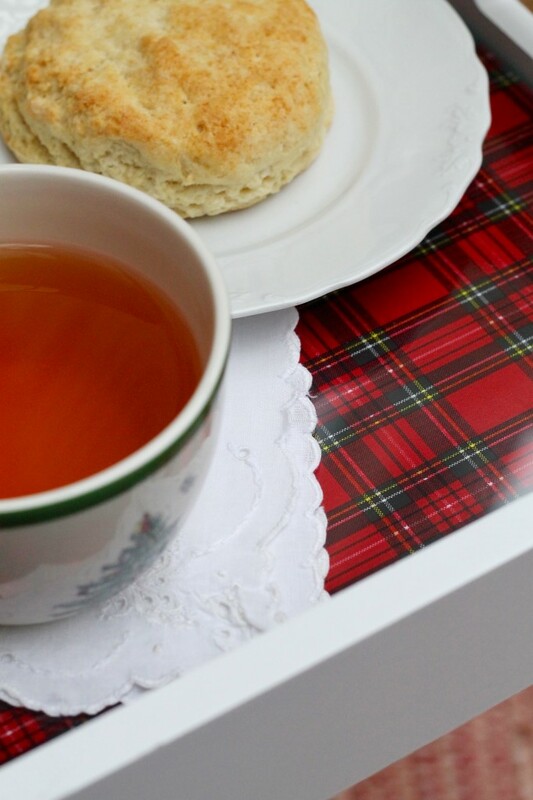 Now it’s time for another season, and this time around the tray goes plaid. I LOVE plaid, just like many of you out there. In fact, I’m wearing my favorite plaid shirt right now as I type this. 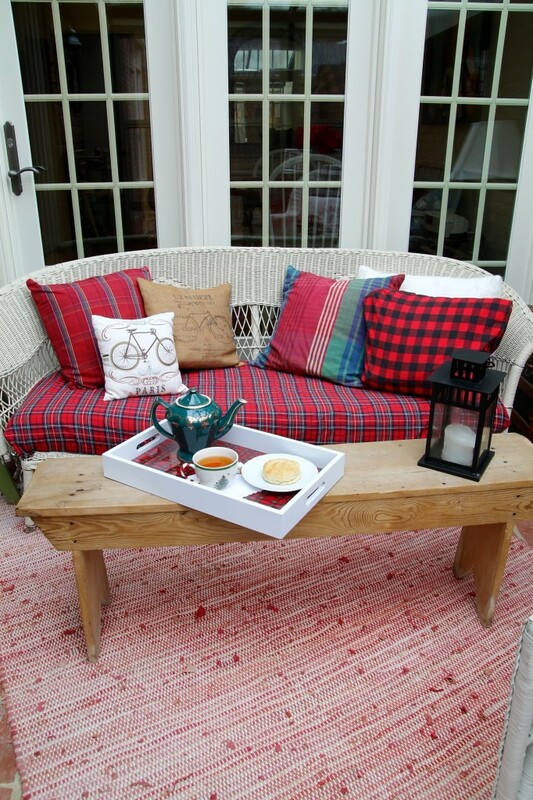 I dressed the sunroom up in its plaid finest again this year, and the dear tray fits right in. For the summer, I gave it a red, white, and blue look so it would fit in with the patriotic holidays. Then once fall rolled around, I removed the glass top, cut a piece of wrapping paper that looked like burlap, and placed it in the tray. Then I had a look that was perfect through the end of November when I put away my fall decor. Now that it’s the holiday season, I knew that my tray needed to dress the part. If you are thinking about now that you need one of these butler’s trays, we found a similar one with potential right here. 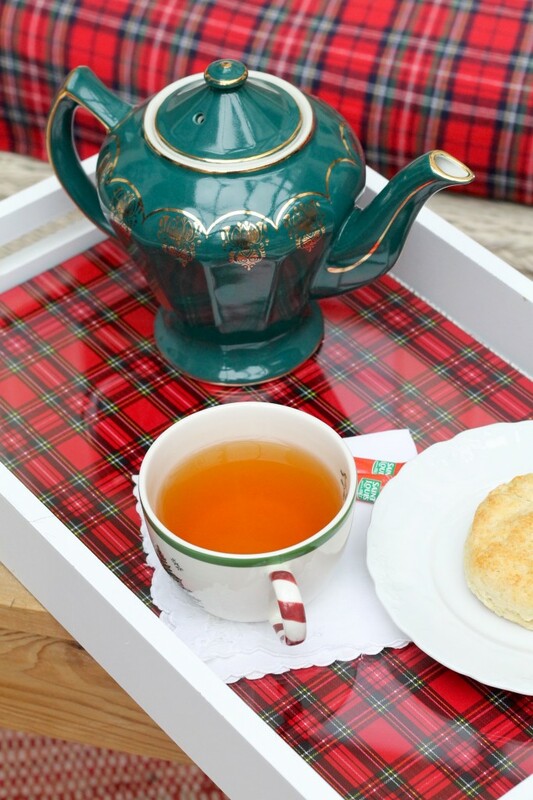 Last year after Christmas I bought some red plaid wrapping paper deeply discounted at Ballard Designs. It is intended for gifts, but I cut out a piece to fit my tray. Once again I just removed the glass and placed the red plaid paper right on top of the burlap paper and replaced the tray. Storing the various papers on top of each other means I will always know where they are, and they won’t get wrinkled. And by the way, this is what the tray looked like when I started. It was really not looking so great, but I knew it had some potential. 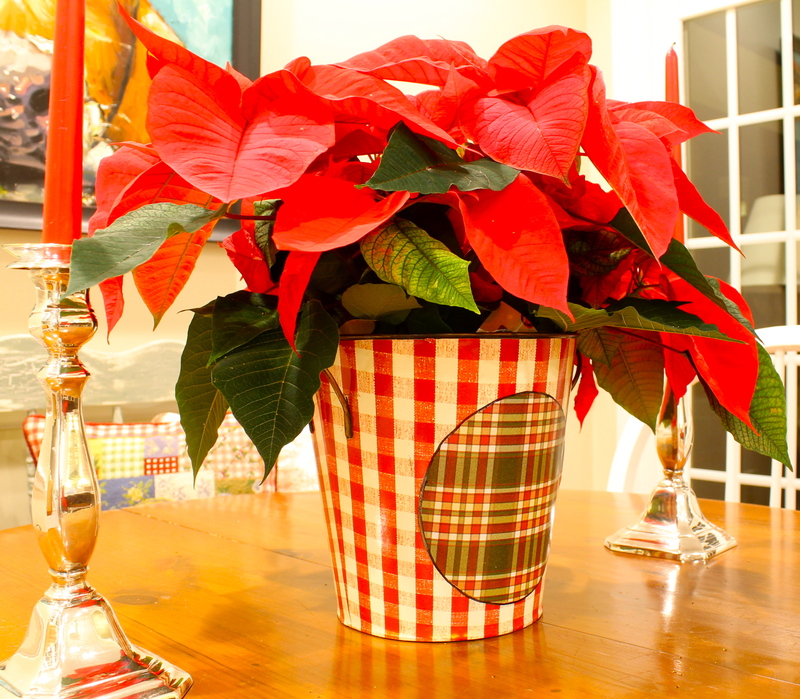 The tray and the sunroom are ready for the holidays. I hope you all will grab one of these trays if you see one when you are out and about or here. 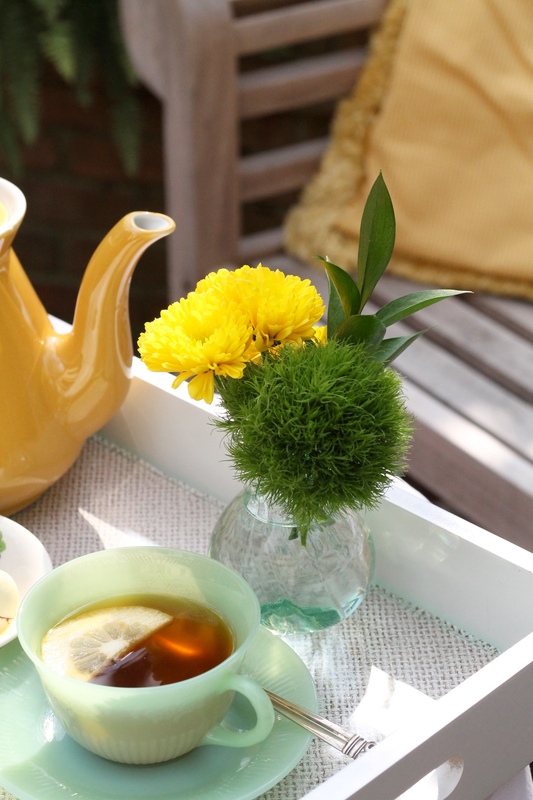 A butler tray is so versatile. You could paint it any color and give it any look that you want. It’s kind of like a little black dress. With the right look, it is perfect for any occasion. Like minds! We just wallpapered our bathroom in the blue check, + I have plans to sew a bed skirt from something tartan plaid! 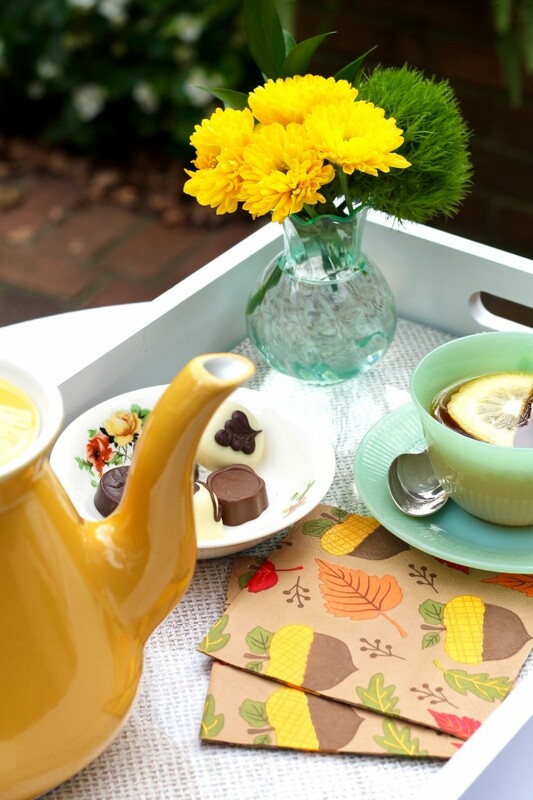 That tray is cute! Such a great idea! 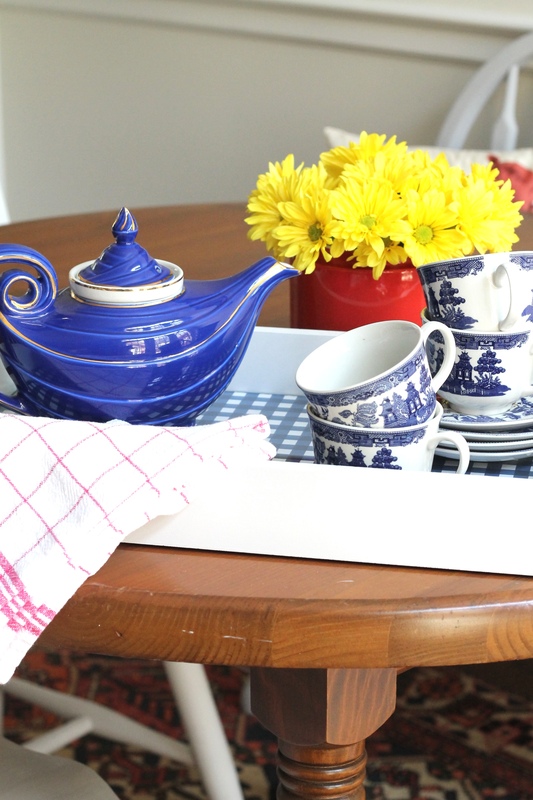 I have a large tray that I love to keep on the dining room table. I’d love to cut a piece of glass like you did and change out the paper or fabric.